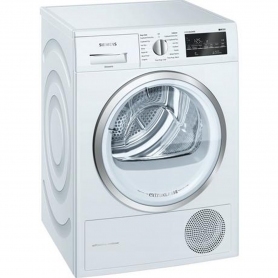 Exclusive to euronics and Agent stores, this reverse action Hoover tumble dryer is a fantastic addition to any home. Perfect for even the busiest of families, you'll love all of the handy features. Enjoy a helping hand at home with the HLC10DF. Featuring a generous capacity of 10 kg, there's enough room for all the family's laundry. In a rush? Select the quick cycle and enjoy perfectly dried clothes in just 30 minutes. For added flexibility, use the delay start to select when the cycle begins up to 24 hours ahead. NFC-enabled, you can use the Hoover Wizard app to control, monitor and manage the HLC10DF. Thanks to Hoover's innovative One Touch technology, you can use your Android smartphone to download new cycles and tips. Also, receive information on your energy usage to help you improve your laundry routine. 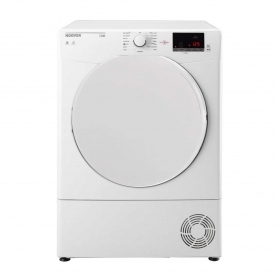 Whether you need your laundry dried in a hurry, or you're catching up on your family's washing, Hoover's HLC10DF tumble dryer is the perfect solution.